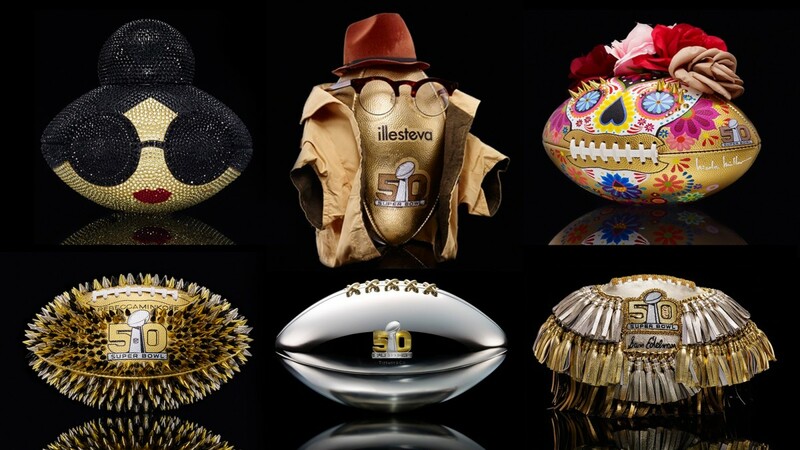 In a few weeks Super Bowl 50 will kickoff and the NFL and Council Fashion Designers of America decided to celebrate a little bit early with 50 years of bespoke footballs designed around a purpose to raise money for the leagues charity foundation. 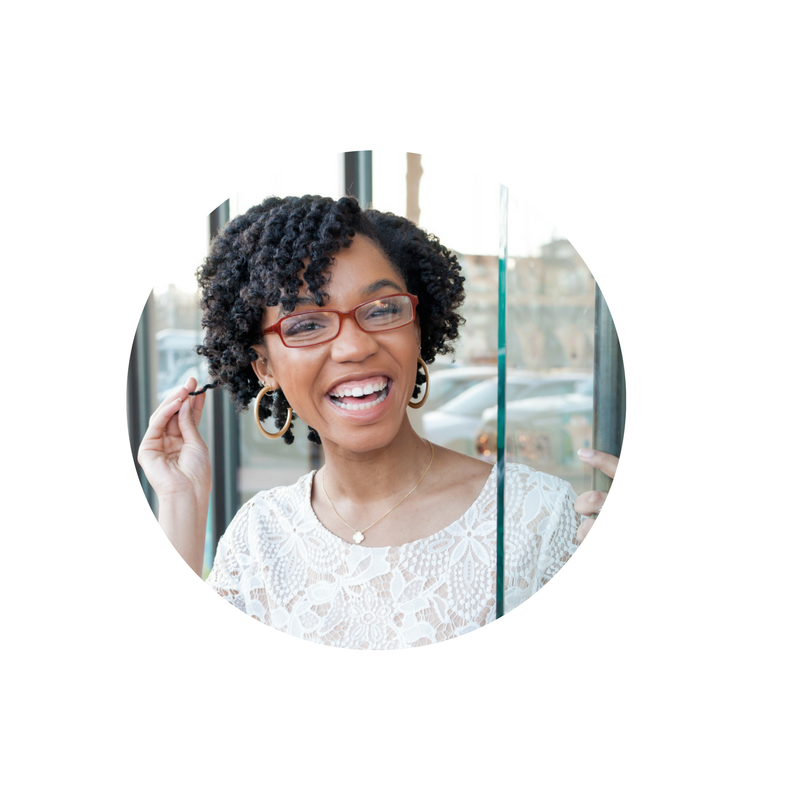 If you know me, then you know that I love collaborations of any kind, non-profit especially! 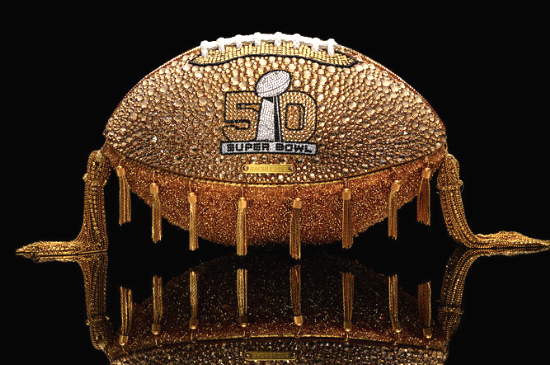 What i love most about this match up between the NFL and CFDA is how each of the designers got the creative freedom to emit their own essence of style into their assigned pigskins. 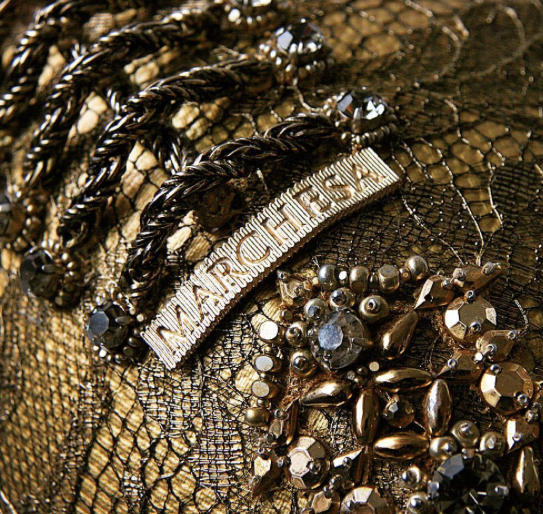 Marchesa (This was my absolute favorite) I need a football like this in my house, the lace and beading is simply immaculate! Rachel Zoe Golden Tassles and jewels make the world go around! 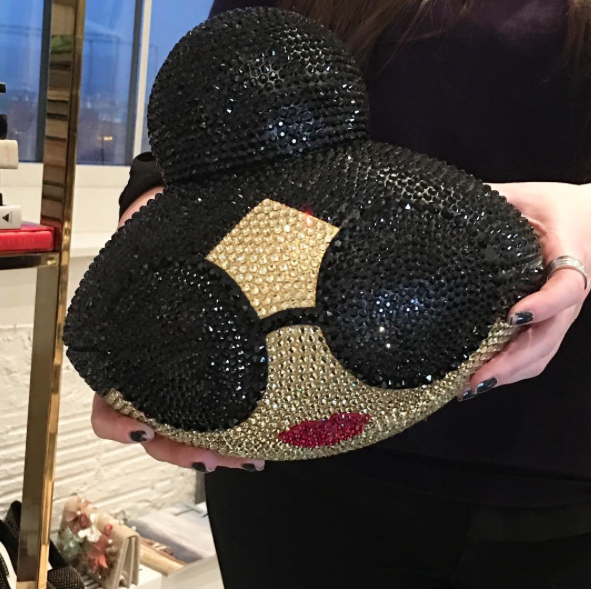 Betsey Johnson is celebrating her own big 5-0 this year with a successful 50 years in business. Her football was ever so playful but feminine of course (peep the red fingernail polish). 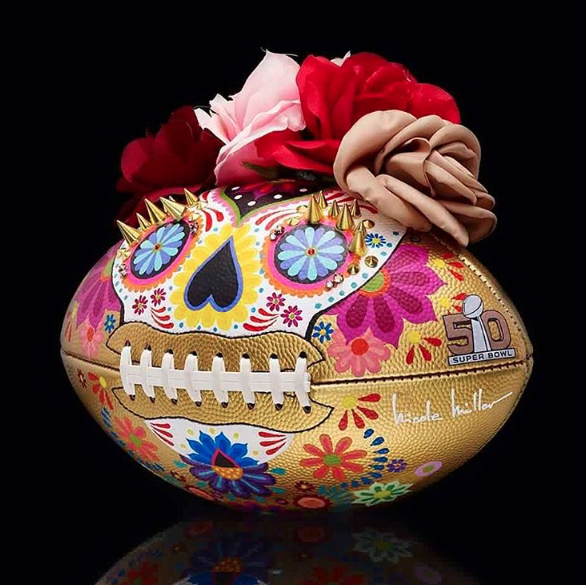 Nichole Miller designed hers like a sugar skull, following a Dia De Los Muertos theme. 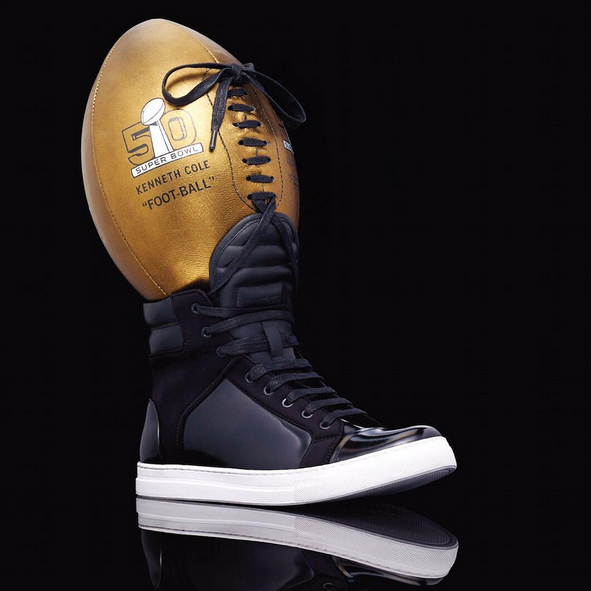 Kenneth Cole stayed true to home and propped his FOOT-BALL in a high top black leather sneaker. If you love it, you can buy it! 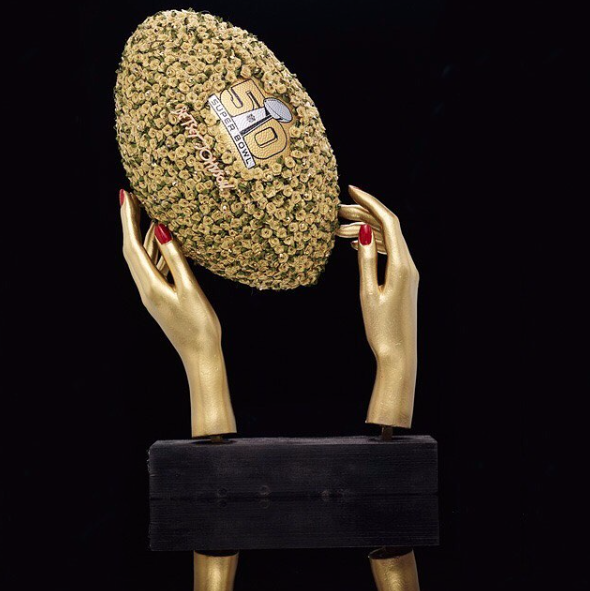 The designer footballs are up for auction at nfl.com until February 14th...in other words guys this is your one and only chance to fully win your girlfriend over to your favorite sport ;)! All proceeds will go to the NFL foundation. Rachel Roy donned hers in three white leather stripes (almost Adidas-esque) against a match up of gold black. 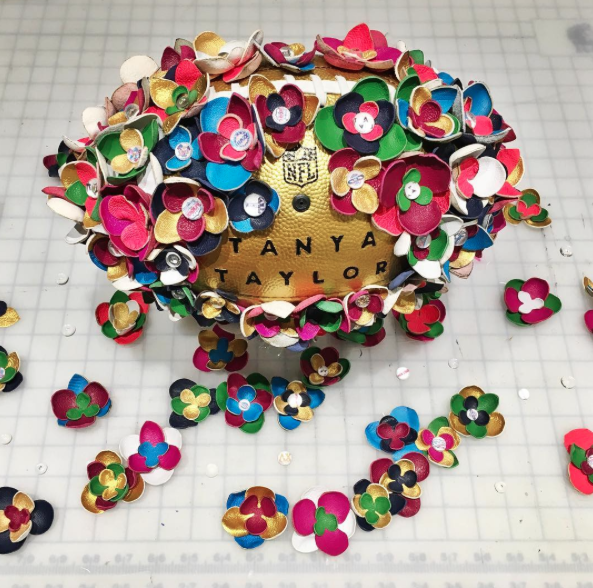 Tanya Taylor loves her some color! Vince Camuto is finger food ready! 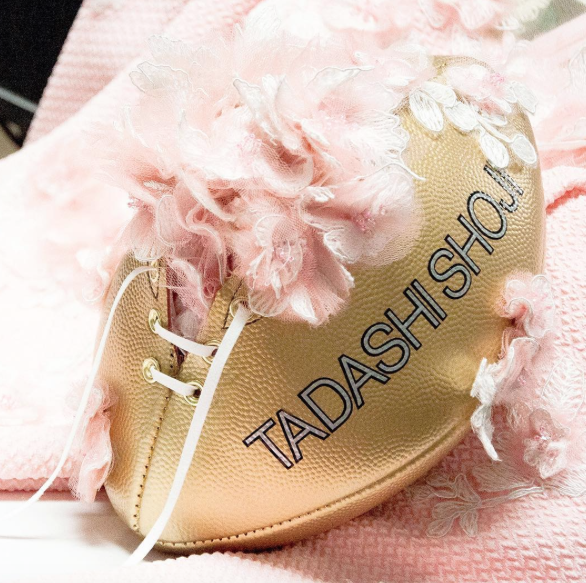 Tadashi Shoji puts this seasons flower girls to shame, a awesome ball for a powderpuff game! 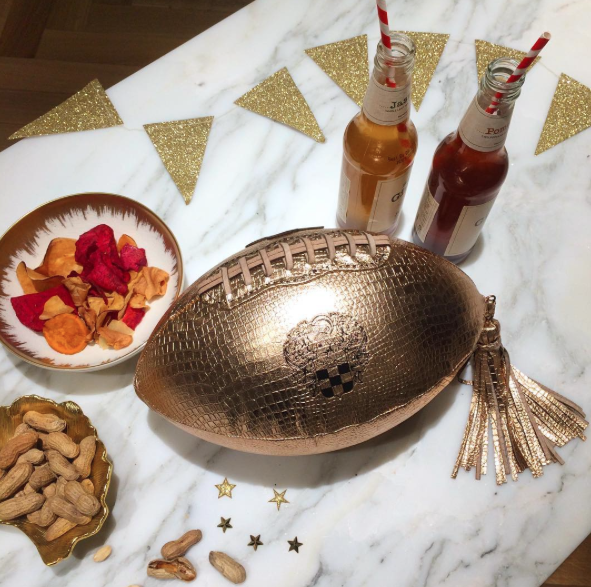 Alice and Olivia's football looks more like a clutch that belongs in my closet! Who do you want to win the Super Bowl? 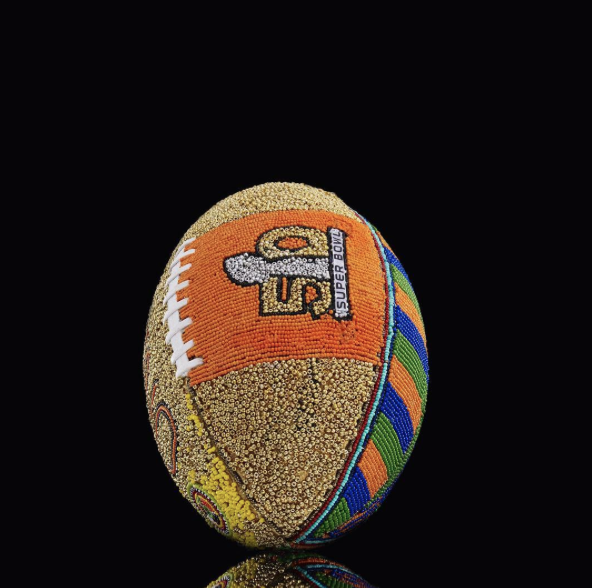 Which football was your favorite? 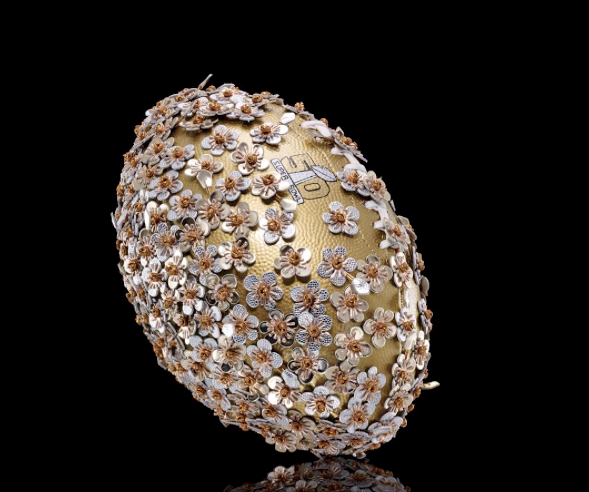 Which designer do you think displayed their brands style on their football the most? 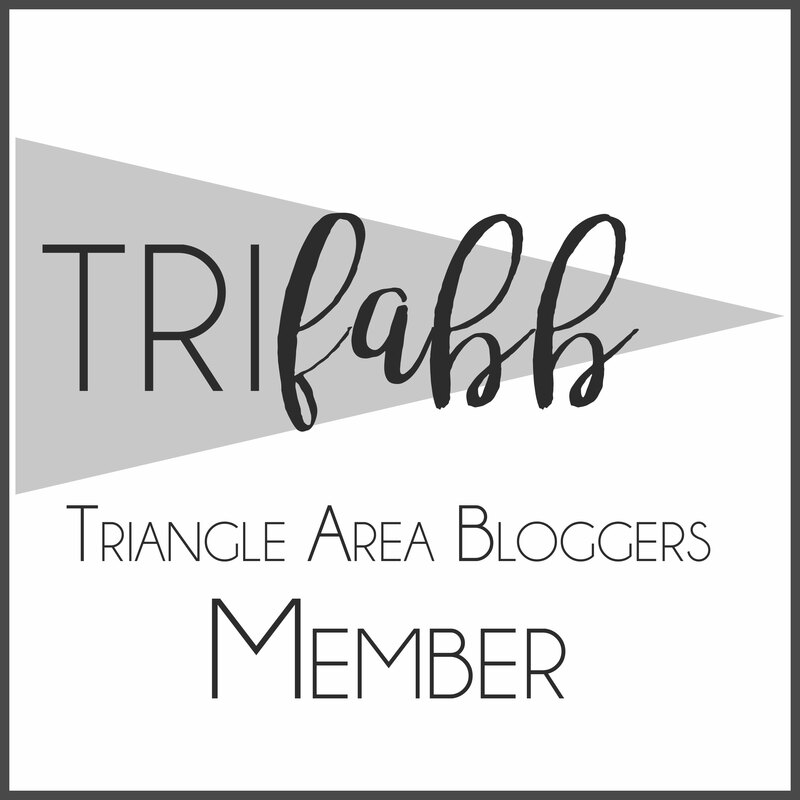 How do you feel about collaborations across the entertainment industry?